Conceived by artist kara lynch, “saved” is an outdoor sound installation-performance that marks the 102nd anniversary of the lynching of Laura Nelson and her fourteen-year old son, L.W. Nelson at the Old Schoolton Bridge in Okemah, Oklahoma. “saved” will be a living memorial featuring Harlem’s own Impact Repertory Theater, in collaboration with First Corinthians, Convent Baptist, and Ephesus Gospel choirs, together performing an original score by Composer, Pianist and Arranger Courtney Bryan and with Stage Direction by Charlotte Brathwaite. Join us. walk two blocks south to 142nd street, then 1 block east to Fifth Avenue to the entrance of pedestrian bridge to the Harlem River Park/Harlem Beach. Once over the pedestrian bridge walk north towards grassy area beneath the 145th street bridge. walk west on 149th towards the 145th street bridge. Cross the bridge to Harlem. At 145th and Malcolm X Blvd/Lenox Ave – turn left and head south. follow walking directions at top to the park. 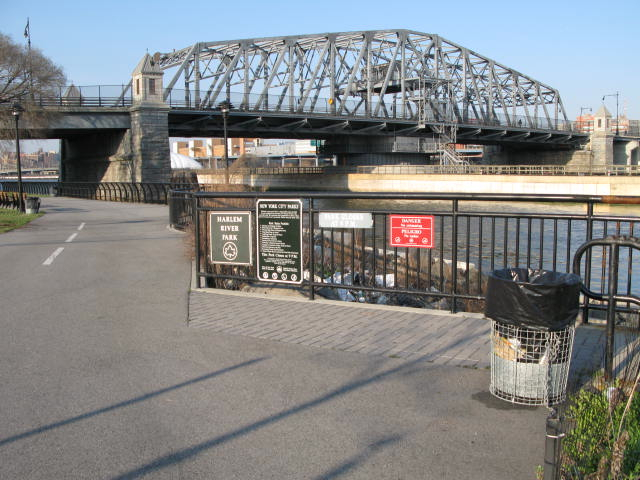 Walk 1 block east to Fifth Avenue to the entrance of pedestrian bridge to the Harlem River Park/Harlem Beach. Once over the pedestrian bridge walk north towards grassy area beneath the 145th street bridge.